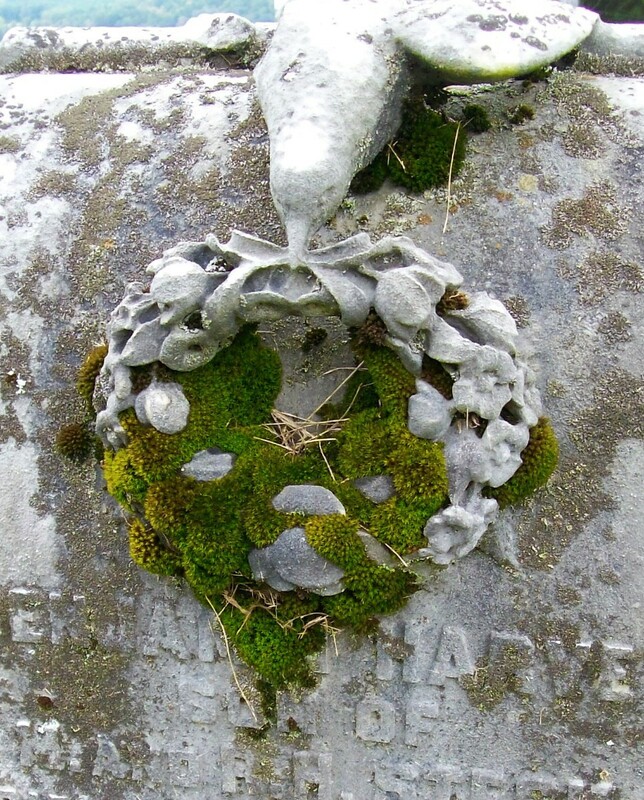 Wandering through an old cemetery on top of a mountain in Pennsylvania, I came across this reminder that life will find a way. This beautiful gravestone wreath, fashioned from cold rock and standing colorless for more than a century, is coming to life in soft, green moss. And the wingless dove proclaims, "Life must go on." Beauty is where you find it. Thank you.